A.R.T./New York maintains a vast library of resources to support the growth and development of its member theatres. 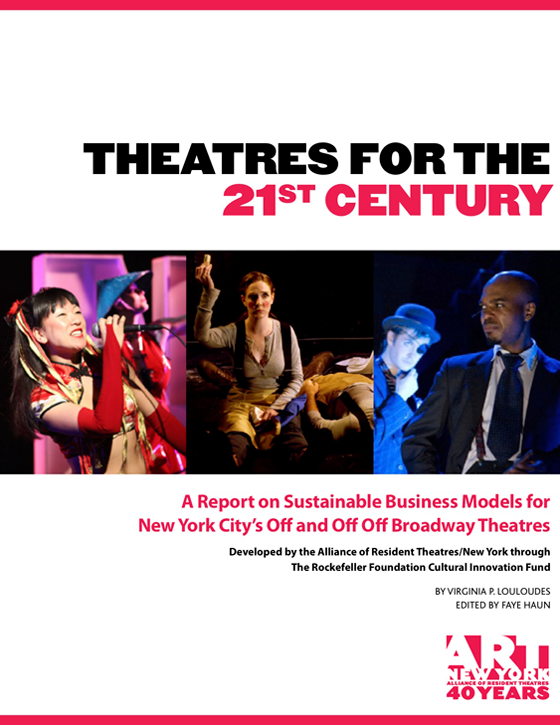 A report on sustainable business models for New York City’s Off and Off Off Broadway theatres. 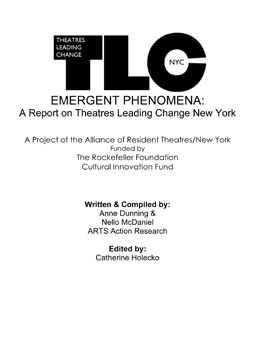 The report was developed by the Alliance of Resident Theatres/New York through The Rockefeller Foundation Cultural Innovation Fund and features case studies of 18 nonprofit theatre companies exploring new models for producing and operating in a changing economic landscape. With competition for earned and contributed income at an all-time high, it is essential that theatre companies manage their time, money, and human resources as efficiently as possible and use economies of scale and shared resources to reduce overhead costs. 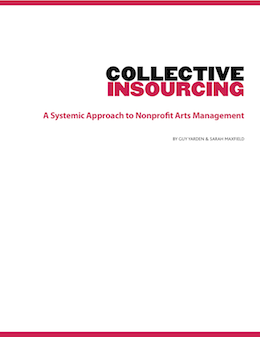 In their paper, Collective Insourcing: A Systemic Approach to Nonprofit Management, Guy Yarden and Sarah Maxfield propose a conceptual model for a client-owned company that provides high-quality, nonprofit-specific services to its nonprofit client-owners. This model would shift the processes that many organizations have in common to a shared system operated by a collectively owned company. In the past few years many in the arts have joined in discussing and questioning the traditional model. Mostly the discussions conclude that the model is broken; and the questions boil down to one: is there a new producing and operating model out there? 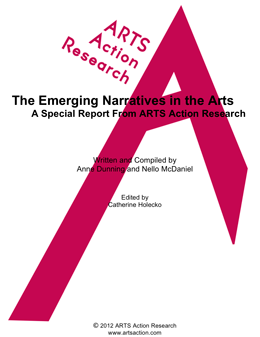 ARTS Action Research's special report The Emerging Narratives in the Arts asserts that the simple answer to that question is 'yes'; but the more complex findings reveal that there is not a single new model but many, and each arts organization can and must develop and adopt its own singular model. 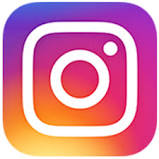 The Theatres Leading Change Initiative (TLC) was one component of A.R.T./New York’s grant from The Rockefeller Foundation Cultural Innovation Fund. Through the TLC Initiative, we set out to examine and better understand all aspects of our theatres’ structures—from how they develop and produce work to the delivery systems they use (theatres, homes, site-specific, online and in other media), to a whole range of relationships they engage in. We also asked participating theatres to try some new and different ideas, assessment tools, leadership concepts and approaches, relational and behavioral constructs. Our focus has been on what theatre professionals have discovered, invented or adapted that works, rather than dwelling on what doesn’t. Underlying the TLC Initiative was the question: Is there a new producing model for New York City’s vital small and mid-sized theatres? Header: Blessed Unrest's Production of The Snow Queen. Photo by Maria Barinova.